Wouldn’t it be embarassing if…you ran a busy high-tech IT company, but didn’t have the time to create your OWN website? 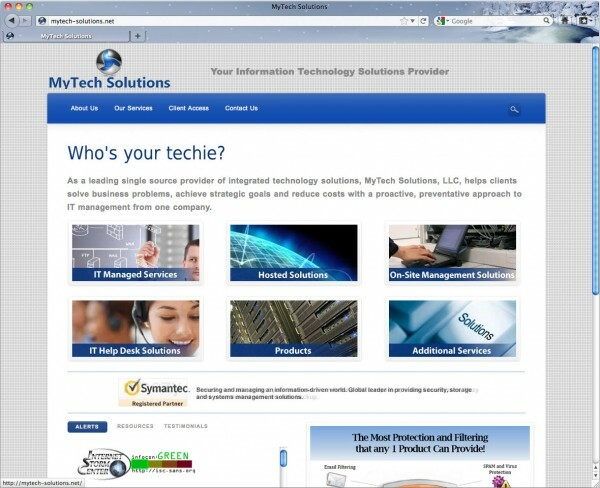 The guys at MyTech Solutions were so busy helping their clients with networking, software, and hardware problems, that they didn't have time to get a website for themselves! (Sound familiar?) We worked with them to create a sleek, up-to-date website to represent and support their growing business. So, check out their site if you're in southeastern Massachusetts and you need some great IT support.